Huffish Dynamite Street “Lex” BIS-4 at Västerås Kennelclub Show! While we landed from America and PCA, Camilla went to show her little Poodle friend Lex. 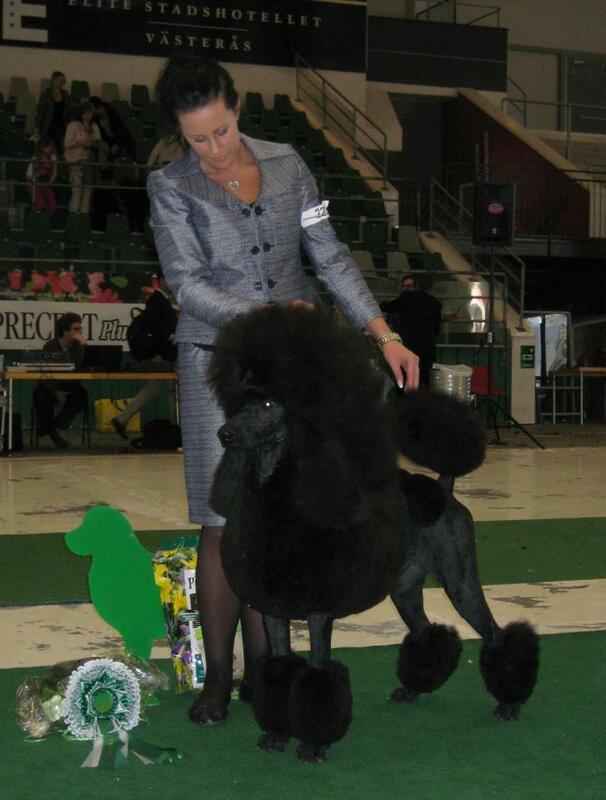 Huffish Dynamite Street at the Kennel Club show in Västerås. Congratulations! They got BOB, Group-1 under Mr Tiino Pehar and he endedup BIS-4 for the Swedish Allrounder Carl-Gunnar Stafberg. Well done! We are proud of you and the great job you do!